Good sitting Posture at work or home can help relieve many health problems such as back pain and fatigue. 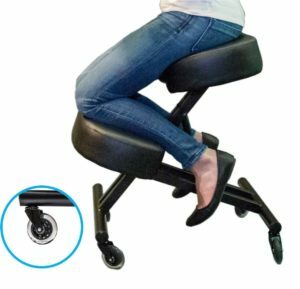 Here are 3 easy steps to improving your sitting posture in relation to your chair. Pick a seat that will allow you to engage your own core muscles. 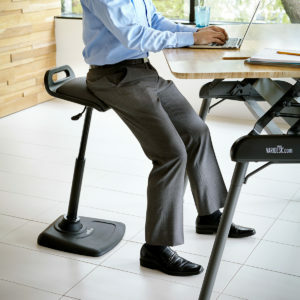 This improves the muscles associated with posture, keeping you from slouching. Image your pelvis holding your weight like a cup holding water. If the cup tips too far forward or back then the water spills. In this case your pelvis drops your weight forward or back straining your back and producing poor posture. Avoid crossing your legs, keep your hips even and your knees lower than your hips. By putting your legs in a more open postion to your torso you will reduce pressure on your spine. It will also reduce shortening of the hip flexor muscles associated with low back pain. 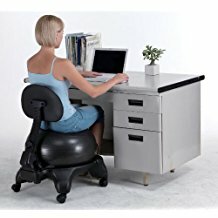 Correct Sitting Posture in a chair starts with the right seat. Don’t be tricked into buying an expensive chair. Most of what will help is good positioning and changing positions frequently. If you haven’t read it already check out Part 1 – How to Correct Sitting Posture.